Cheese bites flavored with Gruyere, rosemary, parsley and walnuts make for an easy crowd favorite. In a food processor, blend the cream cheese, garlic and salt until smooth. Transfer cream cheese mixture to a bowl and stir in the Gruyere cheese, sage and rosemary until evenly distributed. Line a plate or pan with parchment paper. 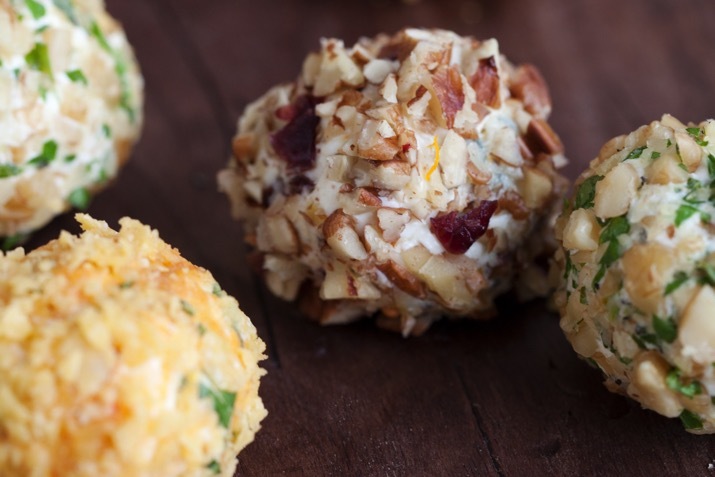 Roll the cheese mixture into 1-inch balls and set on the parchment paper. In a small bowl, combine the walnuts and parsley and stir until well mixed. Roll each ball in the mixture and return to plate or pan. Place the cheese balls in the refrigerator to firm. Serve with crackers or crostini. These fun little bites are perfect for entertaining. Make cheese lollipops using thin pretzel sticks, serve cheese balls with water crackers or baguette slices, or try changing up the flavors.